Sure, the fight against rapidly rising child-obesity is serious. But gyms for toddlers? An article in today's Herald talks of the emergence of gyms for "tubby toddlers" popping up in America and Australia. Here is a: 'kid-friendly' air walker, exercise bike and bench press with 2kg weights - produced by Australian company PlaySafeKids. Child psychologist Dr Michael Carr-Gregg says however this is not a good thing. "Children should be running around playing in the mud, sandpits and jungle gyms". 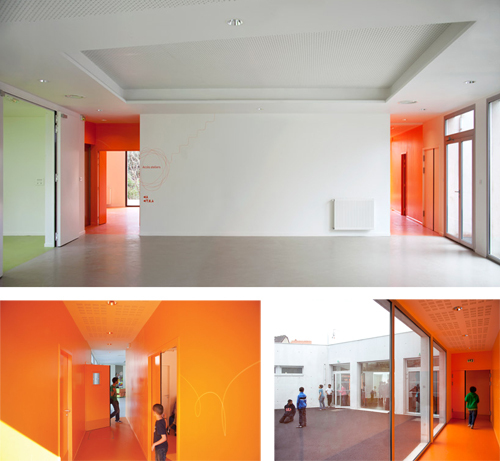 Their design for the Erika-Mann Elementary School in Berlin, Germany is another fantastic example of an architectural intervention on an existing building, where De Baupiloten have redesigned the interior - hallways and classrooms. 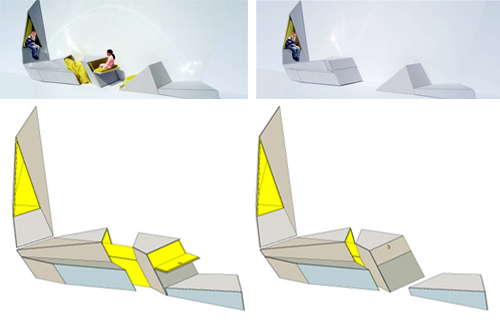 Here you can see the design process, where De Baupoliten started off with making a cardboard model and then a computer model - this modular seating component is what transforms the school's upper stories' floors and walls. See how it pulls apart for different functions and ways of sitting. The original building was designed by Ludwig Hoffmann in 1915 and displayed the typical sterile and authoritarian educational architetcure of the 20th century. 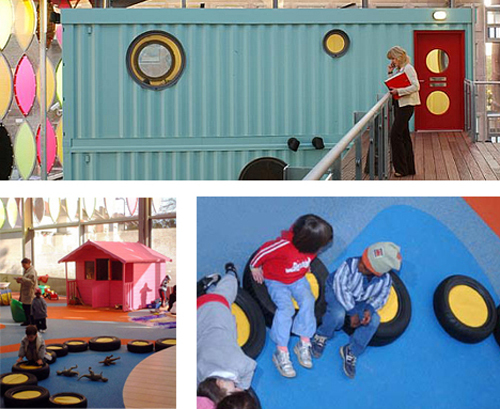 The re-design works in various spaces for play, interaction and contemplation. 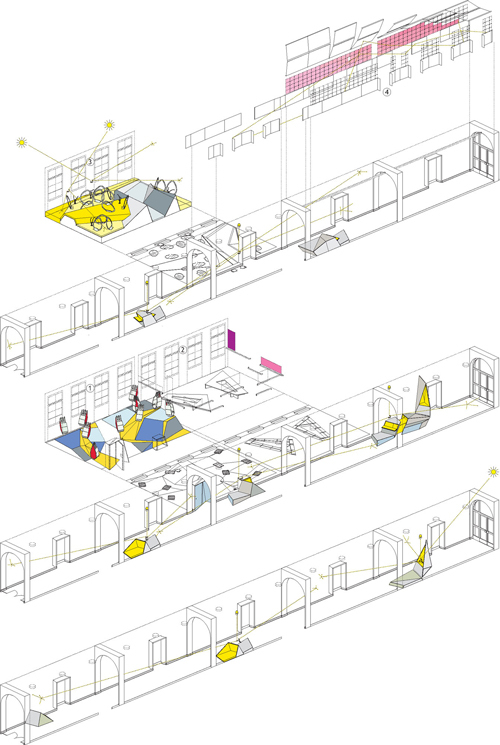 I love this isonometric drawing for its ability to communicate the various retrofit 'parts' - corridors and rooms - transforming the existing spaces. The school children worked with De Baupiloten in a series of workshops - where they became 'co-designers' - where they created a fantastical and poetical worlds - and where they developed the concept of the "Snuffle of the dragon". Left - is the "Chill Room" - a landscape of seating pedestals covered with foam, tarp and various textiles. A series of one meter high 'petals' form a protective island around the pedestals - made of wood - and can be individually formed by the children - to manipulate sound, light and laminate. Right - is the "Snuffle Garden" - a series of horizontal and sloped surfaces there the children can lay, sit, or slide. Particles such as the "wings" and "fireflower" 'float' inside the "snuffle of the dragon". 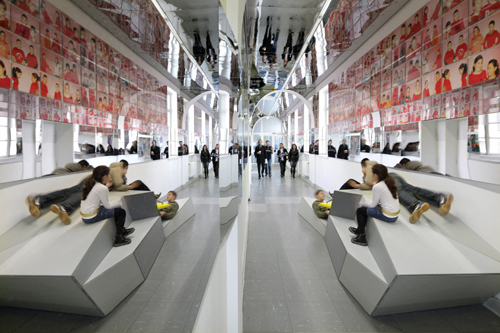 The particles are fold out chairs and sculptures on which the children sit or retreat into. Light covers the seats in a golden glow. The "Dragon's Breath" - reflecting each other. The "Silver Dragon" - a playful, fun and experimental design concept transforms the experience of the school's space and the spirit of the space - which alters, resonates, engages and shimmers. De Baupoliten show how with a bit of imagination and collaboration (between architects, students and children) can result in a successful experience for all. Via ArchDaily and De Baupolitan. 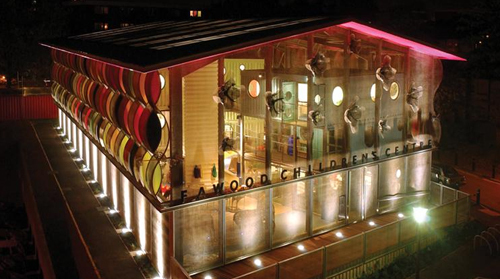 Located in north-west London and designed in 2004 by Alsop Architects - the Fawood Children's Centre has been said to be a groundbreaking design venture for the education of young children - reflecting current thinking on how the environment can affect learning; and is based on the concept that providing integrated services for children and families that are locally based and easily accessible will result in long term benefits for all (OECD). The centre houses an early childhood centre, offices and training facilities - offering family support and outreach to parents including child and family health services, and access to training and career opportunities. 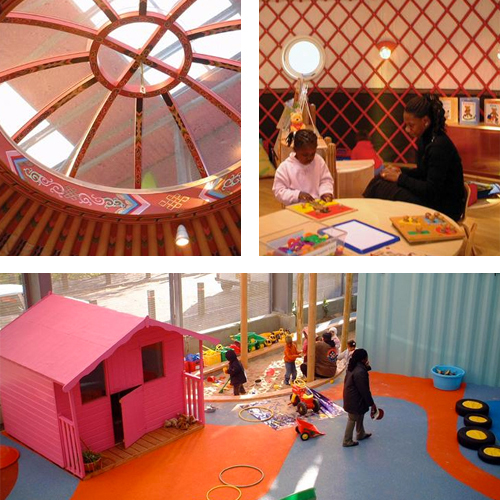 The imaginative use of open spaces, with natural light and transparency and colourful "playboxes" creates a comfortable environment for dreaming and learning. Fundamental to the design was also to provide an environment that offers choice to the children - offering space to socialise or to be alone - enabling independent learning. 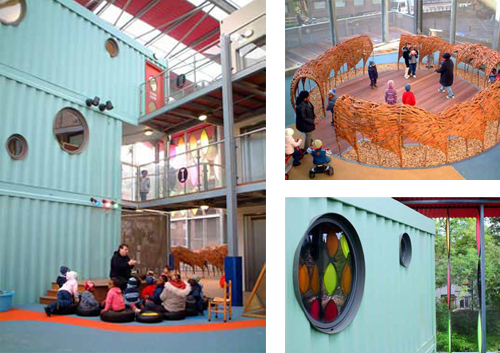 The centre was built using recycled sea containers - resembling giant building blocks, linked by wooden decking and warmed by under floor heating. 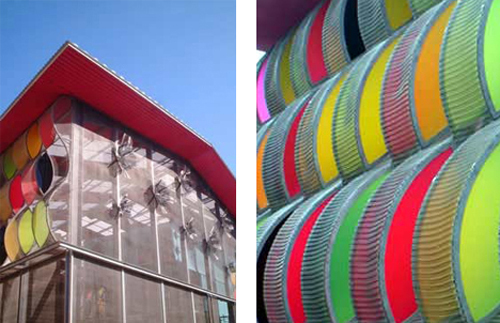 "This combination of built and adapted internal environments has permitted a rapid construction programme," says Alsop. "It allows flexibility, and for low-cost change in any future internal layout of the building" (The Guardian). 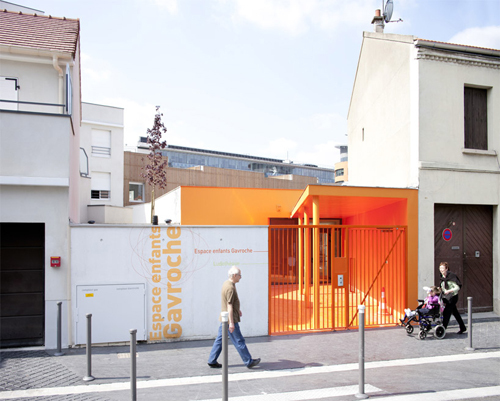 The use of mesh walls or "giant metal circus tent" (The Guardian) which covers and protects the open air play areas creates a colourful social space for development and a decorative focal point for the community. "The children are out in the fresh air without actually being inside" (OECD). 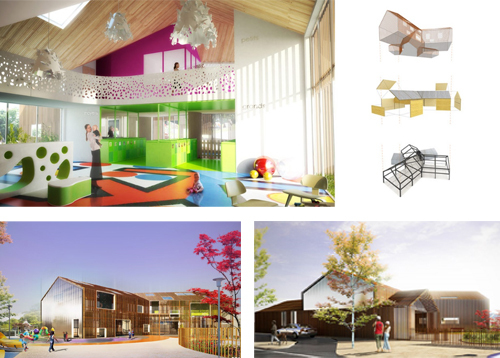 The design stands out from the 'normal' or traditional type of early childhood centre - as Alsop says - "They suffer from what I call pumped-up bungalow syndrome, carefully designed to stifle the childhood imagination" (The Guardian). Jonathon Glancey from The Guardian describes the centre as 'a ray of light' in run-down Harlesden. A place where "children can eat picnic lunches in a "piazza", chase one another through a "willow tunnel", climb into a tree house, act on an outdoor stage, splash about in a water garden or swing from a climbing frame" - no matter what the weather. Via OECD, The Guardian and World Architecture News. Designing Modern Childhoods (2008) by Marta Gutman and Ning de-Connick-Smith is a collection of essays that is concerned with evaluating and discussing the growing interest in childhood in our globally conscious 21st century. From fears about the demise of the childhood we know in the Western world since the beginning of the 20th century, as well as from developments within a variety of disciplines. Studies on the material culture of children - their spaces, toys and furnishings have grown with this interest - and in fact, observing the spaces and material objects of childhood, which are designed by adults based on their understandings of childhood is important to this critique in helping to define children's worlds, their experiences and their imaginations. 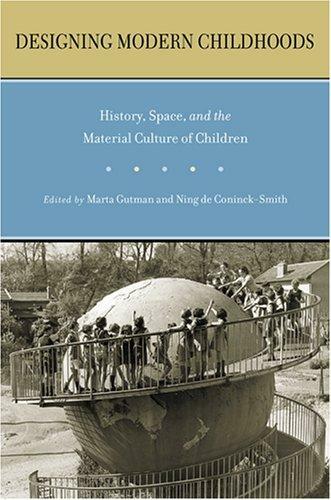 The underscore thesis of the book is that: 'spaces and settings made for children are pivotal to the construction of modernity in global society; and that children are social actors in their own right who use and interpret material culture on their own terms'. 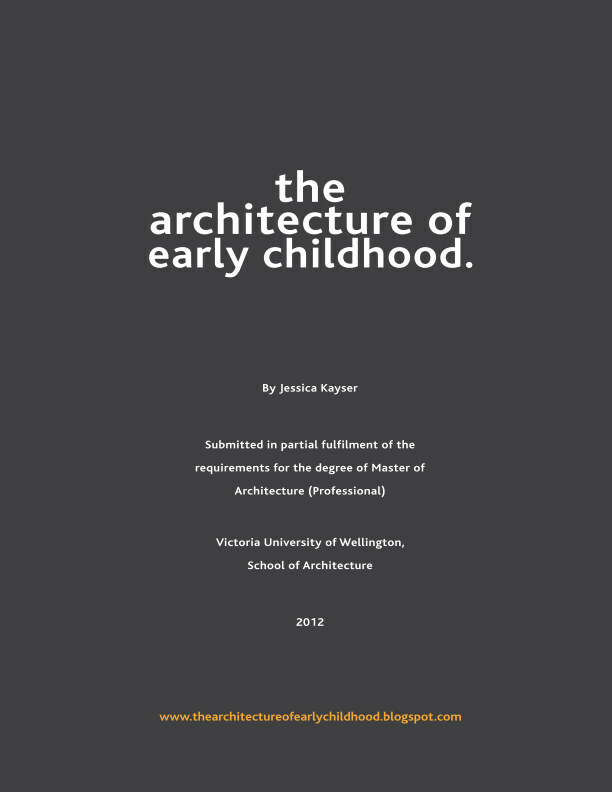 As the book says, analysing the architecture of childhood is important as 'the architecture of childhood frames, just as it is framed by, culturally constructed views of ideal childhood'. 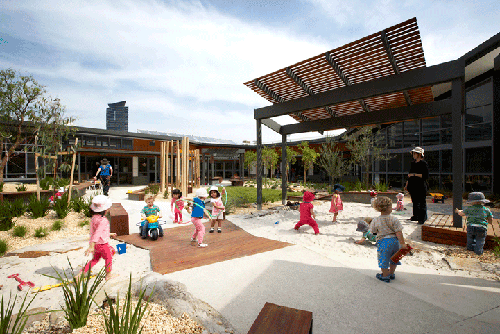 The Harbour Family and Children's Centre's landscaped outdoor area was designed by Hassell. 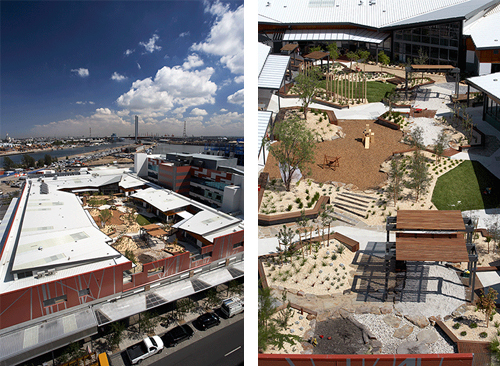 Located on the rooftop of a supermarket in the Melbourne Docklands - the centre aims to showcase Lady Gowrie's vision for outdoor play as a fundamental aspect of early childhood development. The courtyard is a diverse and tactile series of nature-based play spaces that provide a backdrop for the facility's learning programmes. Incorporating two sandpits, digging patch, water play zone kitchen garden and a flexible use softball area, the gardens vary in theme to showcase the diversity of the natural world. This unique learning environment is an important addition to community infrastructure within a fast-growing high density commercial and residential precinct. SLA Landscape Architects' belief and evident in their designs of urban space is the importance of considering children, as they say - 'children experience and use the city differently to adults'. "I want my son to sense the world in all its different colours and textures; I want to create a space open to young children's fantasy when playing." Says Stine Poulsen, a young mother and one of SLA's designers (Designing Modern Childhoods, 2008). A dune and sea-like landscape the garden contains a variety of different grasses such as meadow grass, festuca glauca, seslevia and molina caerulea. A textural and sensory space - the garden moves, billows and changes pattern - the colours changing with the seasons. The different and changing spaces are held together by paths which cross through the garden. SLA has designed this curvy courtyard to contrast with the 'modern iconic' edgy building. Different types of vegetation in altering heights and different textures and colours creates a changing and sensory experience for the courtyard's users. The courtyard enables a range of new activities including an adventure playground space for the children and enhances a sense of community for all of the residents. SLA was commissioned to design an urban space to accompany the new SEB bank headquarters situated above an underground carpark and on the corner of two heavy-traffic streets. The urban space was to tie the headquarters with the surrounding area, the harbour and the rest of Copenhagen. SLA created an accessible, green and welcoming 'open foyer' for the public and employees of the bank. The 'dunes' create a folding movement - the contour of the terrain enables a variety of routes and creating an ever-changing urban space. The goal for the new North West Park was to inject a little adventure into the surroundings. A culturally diverse area with many of the inhabitants poor and unemployed - the area had little public life and high rates of crime and pollution. 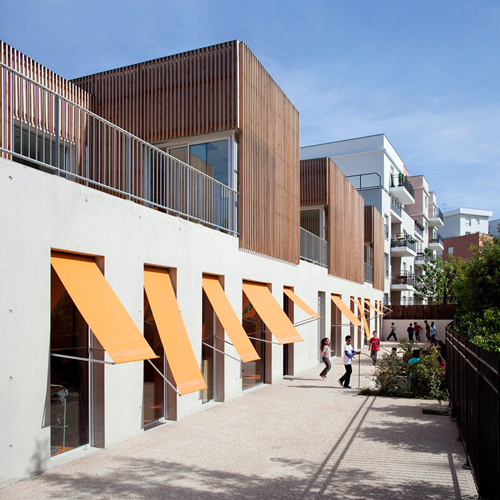 SLA's design was an opportunity for the area's residents to reinvent themselves and to transform a vast, fenced, empty space into a place where people of all ages could meet. With a magical mix of lights, colours, trees, poetry, and even small mountains - new stories and adventures were introduced. The park consists of four simple elements: trees, paths, light, and cone-shaped mounts - creating order and coherence between the park's many parts - and a sense of exploring nature. 63 different tree species from all over the world provide colour in the park all year round and reflects the multi-cultural nature of the area. Children from the surrounding schools were invited to write poems about their vision for the area and can now be seen on the asphalt path that runs through the park. The park embraces and welcomes everyone - creating a unique identity for the community to call their own. In partnership with the area's housing residents SLA have created an outdoor garden space that filled the request of "more intimacy and opportunities for more uses that the existing open lawn can offer". The area is therefore remodeled into a moraine-like landscape giving the park a new identity. 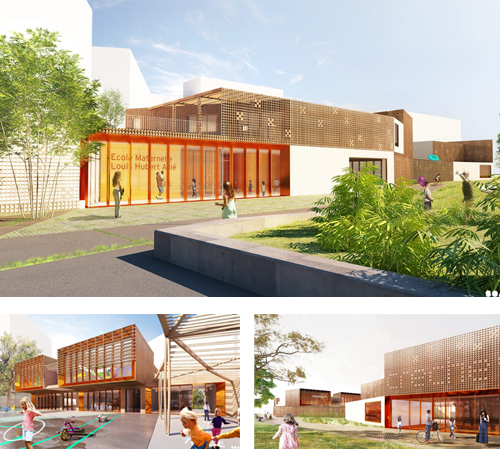 The space includes: rose gardens, a rubber playland, herb gardens, a rolling skater track, fruit grove and sand gardens - all offering sensory experiences and possibilities. "We have very little damage in our green areas. The collaboration between the residents and the building society ensures that we all take care of the area" (Niels Hansen, Residents' Committee member). 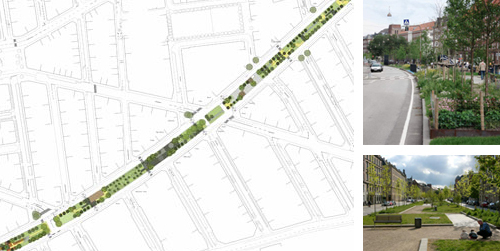 The existing boulevard is revitalised through a process of comprehensive community participation - who decided on activities and uses to be incorporated. The playground is conceived as a 'garden of knowledge' framed by the school buildings with no corridors, meaning that everyone has to go outside and feel the weather and the changes of nature. 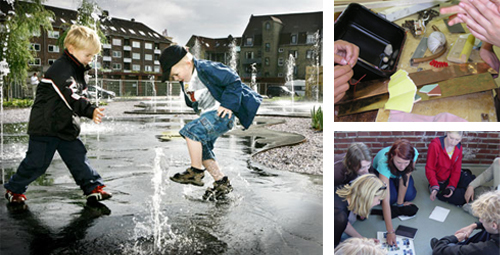 The outdoor space plays a large part in children's development, well-being, learning and social exchange. Therefore SLA have used a varied and interesting contoured play-scape which encourages the children to move in many different ways and play together. There has in recent years been increased interest on how the physical environment can stimulate children to move more, yet seldom are children consulted in the design process. SLA ran a project 'Children create space for movement' that shows how children can participate in the planning and transformation of the environments they use in daily life. 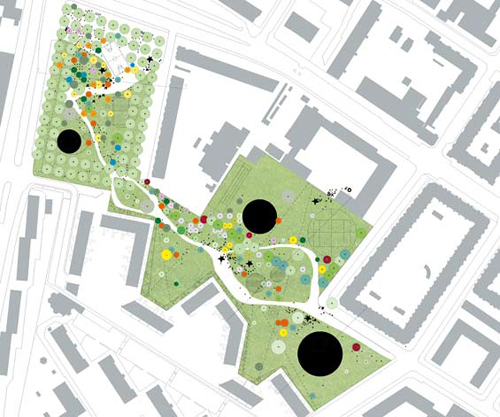 A four-day workshop will result in a built outdoor space where the children define which experiences and activities the area will contain and where the project group will translate the inputs from the children into a cohesive design. Later, a follow-up workday is to be held where the children will offer feedback and the chance to participate in the detailing of features such as benches and dens. 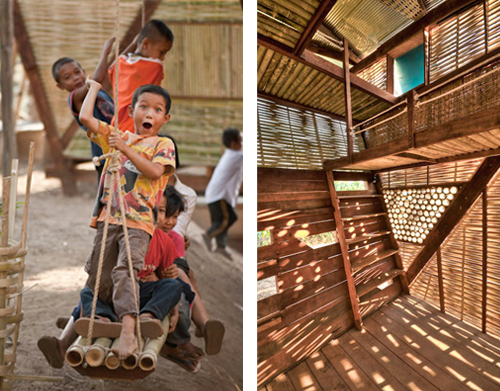 Via SLA Architects and Designing Modern Childhoods. 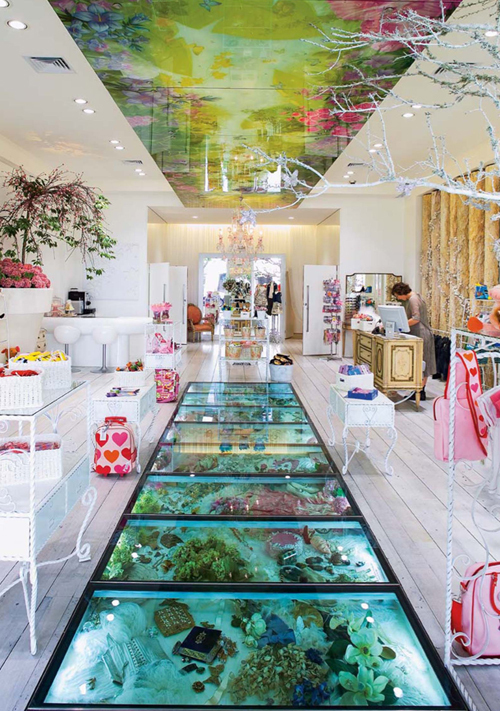 Designed by Adrian Nancekivell Design with advertising agency Saatchi & Saatchi, Trelise Cooper's store for Kids was awarded the supreme award in New Zealand's Retail Interior Design Awards in 2007. 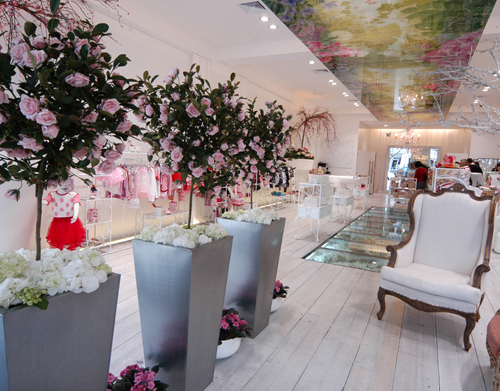 "For young and old alike the store is a delightful wonderland of unique ideas. Creativity and imagination has triumphed to provide a lasting impression, memorable and outstanding in terms of its retail experience" said judge David Muir. 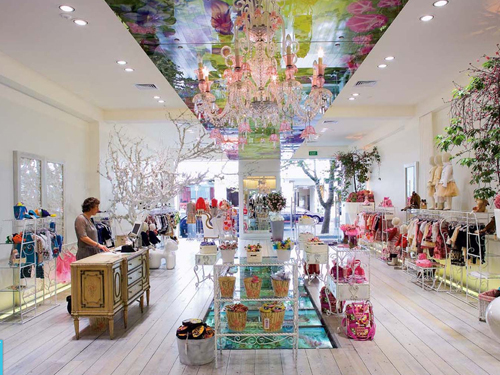 The store proves that shopping can be more than just buying - it can be an experience, and not just for the children, but inspiring and awakening in us our inner child. Via The NZ Herald and Cape Interiors. Reflecting on society's ambitions and progress, he suggests that perhaps we are forgetting what is really important - our children - our future. The song is the opening track on the 'Tea For Tillerman' album released in 1970. 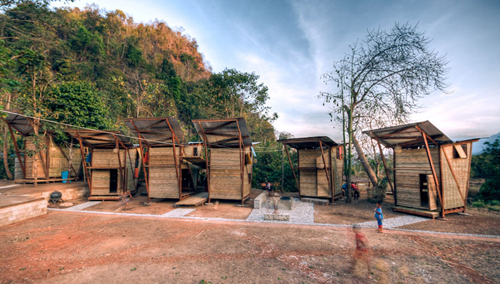 Norway-based architects TYIN tegnestue have designed these beautifully sensitive community projects in undeveloped areas of Thailand. Three of their designs won them recognition in the conference and competition organised by Children in Scotland: Making Space 2010 - which aimed to promote innovation, creativity and sustainability in design for children and young people aged 0-18. "They have ambition; they are contextually, climatically and culturally responsive. They are socially supportive and life affirming...and they are also beautiful" (Making Space 2010 judges). TYIN tegnestue's designs were praised not only for their "outstanding architectural qualities" but for their "completely child-centred approach... which meets the needs of a child within a social and cultural context". 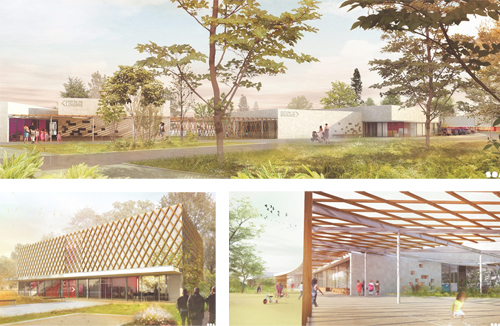 Their holistic approach demonstrates how architecture can transform lives without large budgets - with architecture that nurtures, protects, inspires and empowers individuals and communities - respecting the local identity, local human resources and material resources. The Min Buri Old Market Community was once a commercial centre but a fire in the late nineties forced trading across the canal and the community changed from one that was vibrant to one deeply affected by deprivation with many in the community unable to enjoy security of tenure and have limited access to services like health, water, sanitation, housing, education and employment. The entrance to the library. The aim of the project was not just to build a library, but to inspire lasting passion in the local community that would contribute towards the future development of the community. 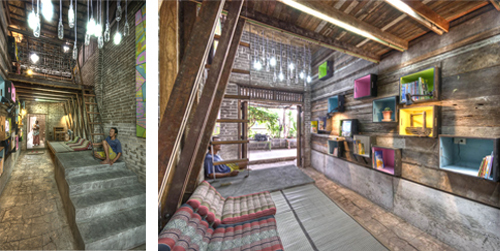 The project was built inside a 100-year-old market building with all materials sourced close to the site or bought second-hand, and construction work was carried out by the community and volunteers, which helped to ensure a sense of local ownership and pride and empowering the community with an invaluable set of skills. The Library has now become a community hub for children and adults - with donated books, magazines, board games, a television, computer and other resources. There are several spaces for different activities, including an outdoor shaded reading area, a small quiet reading area, a loft floor and a raised area for computer use. Safe Haven Orphanage is a home for around 50 orphaned Karen children, part of an ethnic group that lives under persecution from the Burmese state. The brief was to build a bathhouse and library for the orphanage, with the library open to the wider community - for all local children as a safe environment for doing homework and hosting gatherings. 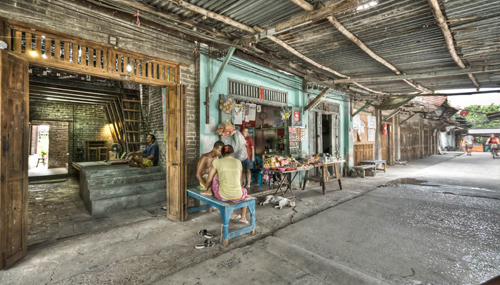 Again, all materials were sourced locally – the bamboo was cut less than 1km from the site, the bricks and concrete were sourced from a nearby market and the urinals in the bathhouse were made from old tyres. All of the children at the orphanage at the time of its construction were involved in their own way. The older children helped with construction while the younger children helped to collect materials and tools. Here, the clever (and cheap) use of car tires for the urinals (left) and toilet (right). Here, the goal was to provide a home for 24 persecuted Karen children to help them experience as normal a childhood as possible. The six buildings were built entirely by a local workforce, following a set of simple and robust construction principles and using a local bamboo weaving technique. Not only did this provide a vocational training ground for young unemployed men in the village, it will make it easier for the local community to accommodate any future expansion, maintenance and refurbishing work that is required. The indoor spaces are open and semi-private to make sure the children can invite their friends and visitors into their homes while keeping the most private space of their sleeping area to themselves. Here you can see the multiple variations and opportunities that the spaces provide - steps for sitting on, ladders, openings, benches, swings and different types of facade/screens between spaces and inside and out. Here you can see the weaving of the bamboo for the structures facade (left). And on the right stumps provide a play space for the children. Left - children play on the bamboo swings. Right - different types and uses of bamboo provide many variations of filtered light and moving shadows - creating dynamic and beautiful spatial qualities. 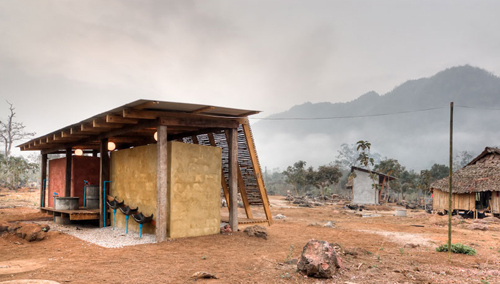 Via TYIN Architects and the Making Space 2010 publication. This information is from an article written in 2010 by OECD (Organisation for Economic Co-operation and Development), Alessandro Rigolon, which presents an overview of European school building design types. The type of spatial layout of a school depends on specific characteristics of a school, the level of education, the number of pupils, the school's philosophy, climatic conditions, and its location in the region (urban, suburban, or rural). Changes in pedagogical approaches today - including the growing demand for areas dedicated to breaks and collaborative work means circulation spaces take on new significance. As the future needs of schools is becoming more and more unprecendented there is a need to define design guidelines. One of the most frequently used in the past and is still popular. Although there are variations on this type, the standard characteristic is the protected outdoor area - that can be easily surveyed and is psychologically reassuring. Advantages are: that it provides a visual focus for the interior spaces, the feeling of being inside a closed area, with different degrees of opening, and a sense of well-being. As shown above, there are 3 variations: the closed courtyard, the multiple courtyard, and the open courtyard. Characterised by compact volumes, simple internal layouts and a large space for socialising which leads to the main learning spaces (classrooms, studios, laboratories). Advantages of this approach is the prevalence for spontaneous meetings and of a social 'heart'. 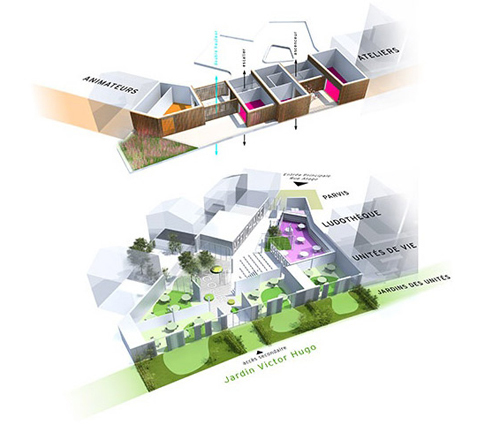 Here the building is fragmented into different volumes, which can represent independent pedagogical units - "small learning communities" - "school within a school" - each space has a particular and recognisable character, and enhances a sense of belonging. There are many variations of this type depending on the circulation scheme. Unlike the block type, movement from private to public areas is filtered by common areas or "buffer" spaces - playing a key psychological role enabling student to identify themselves in small groups, gradually transiting towards the rest of the building. Finally, the independent volumes need to be linked by a general gathering space, defining the public character of the building. Utilises a multiplicity of spaces and functions - hence the metaphor of the town. The most public space, the "town hall square", is surrounded by the most important "buildings" (library, auditorium). From here, a series of roads gives access to spaces that are more and more "private". Two sub-types include: the "complex blocks" - often single-storey with a compact footprint and "compound structures" - formed by a variety of freely arranged volumes. The notion of urban space is created by the complexity of the internal spaces and the richness of the three-dimensional shapes.